Solved Server discovered as “Lightweight”. After setting up a new SCOM environment with Squared Up v.4.0 i keep seeing “Lightweight Windows Server Computer” being discovered on some of our servers. 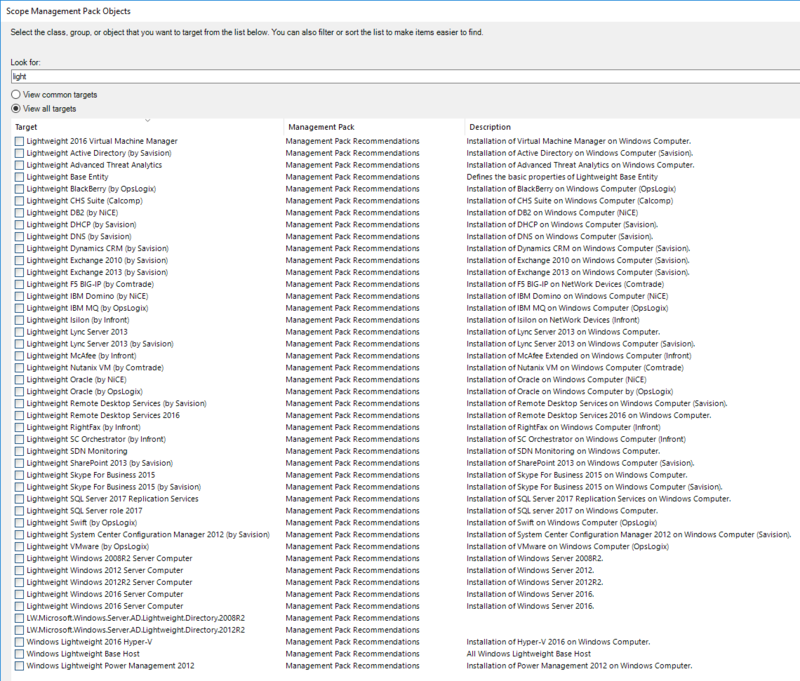 Management packs for all the server versions have been installed as well as the OM Agent. What exactly does this entail? I should be expecting “Full Computer”, but this isn’t showing up. This is due to SCOM 2016’s MP Update and recommendations, not Squared Up. We have this in our environment and just ignore it for the most part. So I'm either missing a management pack or the server has not yet been discovered as a (Full) computer yet? I am now able to see the servers as "Window 2012 Server Computer (Full)" as expected. I am guessing it was just a hitch somewhere that only showed "Lightweight" as available. The connection to the Data Warehouse was made today, so this might just be a self-solving problem. Do you see the expected server as a Windows Computer ? For some reason I did not, but now I can. The server agent and management packs were added some time ago, so i see no reason the server was not yet fully discovered... I'm guessing it was just a hitch.